His Holiness Suhotra’s In2MeC (“into me see”) diaries are preserved on a site maintained by his disciples, www.suhotraswami.net. It is a wealth of Krishna conscious literary creativity. Therein we find this wonderful post about a dear Godbrother Shri Bhakti Vidya Purna Maharaja of Mayapura (notice the family resemblance). 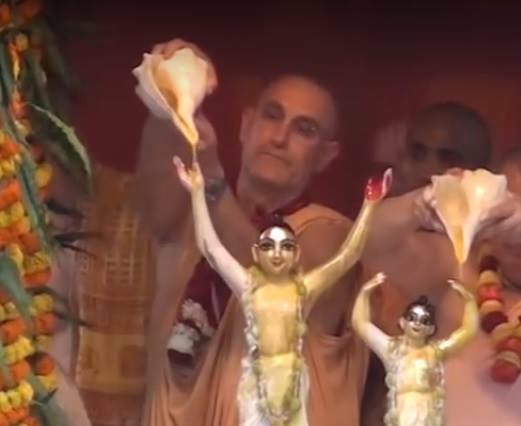 In the picture below we see His Holiness BVP performing abhisheka at the Mayapur Gaura Purnima festivities 2011.